Keep your animals healthy and happy with veterinary services from Durbin Vet Clinic in St. Peter, IL. Durbin Vet Clinic provides animal care services for animals of all sizes. 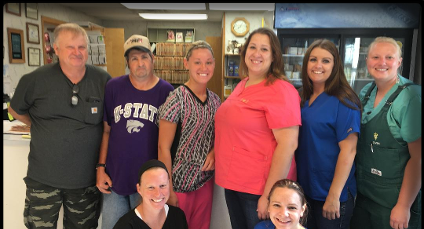 Our staff, with nearly 60 years of combined experience, will ensure that your animal is given the very best of care. Out on the farm or here in the hospital, we are here whenever you need us. At Durbin Vet Clinic we appreciate our clients and know you have put your trust in us to make sure your pet receives the unique attention they deserve. Contact us today to find out how we can help provide the special care your animals need. We also accept Care Credit - Apply online today or visit us to apply.